That F'ing Monkey: Lanterns go to War. So because of my crazy work schedule as of late I have not had a real chance to get my comics, let alone read them. 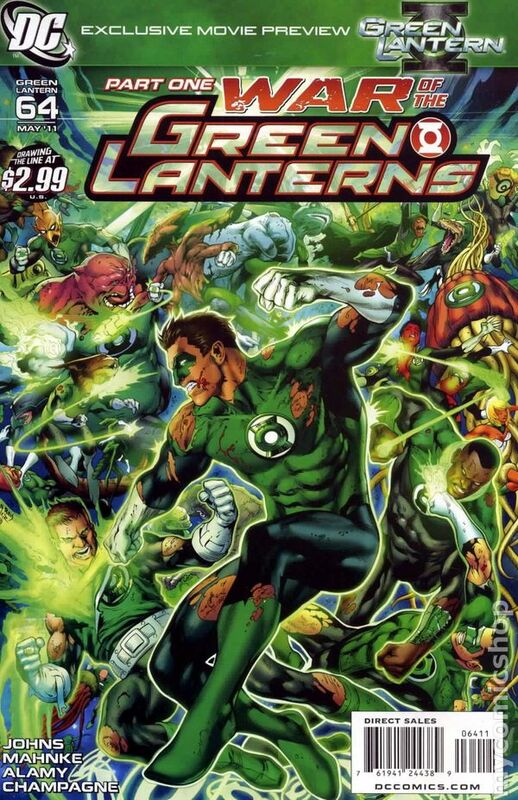 However I am getting some information on the current Green Lantern storyline "War of the Green Lanterns". Now I have talked briefly before on the muddled mess that is the emotional spectrum. 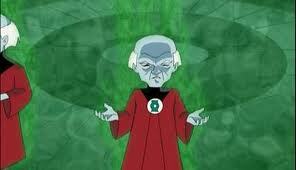 I have not gotten into the other side effect of Blackest Night, the Alpha Lanterns. The Alphas are hybrids of the Manhunters, the Guardians' original try at bringing order to the universe, and living Corps members. They are mostly made up of the "Lost Lanterns", the Lanterns that Hal Jordan rolled though on his way to becoming Parallax. I did not really talk about this background story much because I did not enjoy it and was hoping that it would resolve during Brightest Day and we would be done with it. It however did not and now the Alphas are the focus of the current story arc. Now we all know that the Guardians are kinda annoying blue bastards that only really think of themselves, but who knew that they also have a super short memory for immortals. Of course the Alphas are going to turn on their masters, apparently the blue fuckers are too busy being assholes to read derivative Sci-Fi. That is the first rule...Robots Always Turn. So yeah, I am not a fan. The GL books seem to have lost focus after the Sinestro Corps War. That story felt like the opening salvo of an epic story. It had a bunch of awesome non-earth based lanterns that seemed to have great stories to tell. 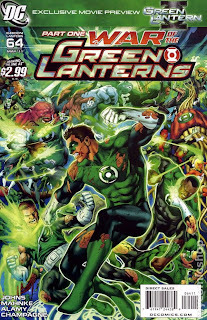 A lot like the old GL Corps book that delved into tales from all over the galaxy not just background aliens that support the four earth Lanterns. Now it just seems that it is going back to 90's story telling - all spectacle no substance. Yeah, that is John Steward. The man was a Marine for fucks sake. At least in Green Lantern Mosaic he kept his damn dignity.